As a child, daydreaming was one of my favorite activities. Or should I say, non-activities? I spent hours alone in my room with random thoughts wandering through my mind. I loved to think about patterns, people, and the mysteries of how things were connected. My parents believed I was doing homework. And because I did well enough in school, they had no reason to think otherwise. Looking back, I remember feeling embarrassed about my daydreaming. After all, isn’t daydreaming a useless way to pass time? At least, that’s how I understood daydreaming as a child. 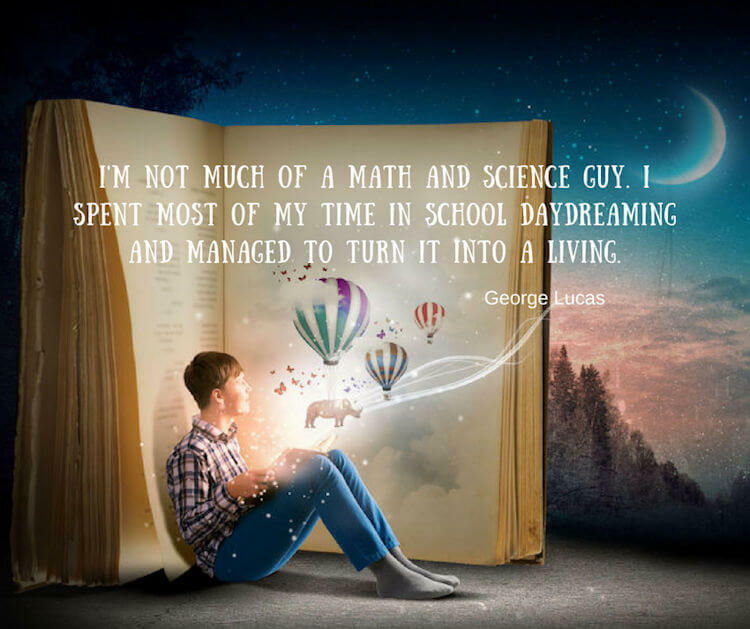 Today, with a doctorate in human development, I look at daydreaming differently. I’ve read studies that show how active our brains are when we daydream and the surprising facts that link the process of mind-wandering to healthy development. I view daydreaming as a critical aspect of creativity, self-awareness, and how we find meaning in life experiences. These are core attributes that helps children and teens chart successful pathways through life. Let’s face it. Most of us are daydreamers. According to a study by Harvard psychologists Daniel Gilbert and Matthew A. Killingsworth, we daydream forty-seven percent of our waking hours. That’s right. Forty-seven percent! Whenever we are the least bit bored, our minds naturally wander. What happens in those hours of daydreaming? We explore associations. We make connections. We search for possibilities. In their book Wired to Create: Unraveling the Mysteries of the Creative Mind, Scott Barry Kaufman and Carolyn Gregoire present good scientific evidence that both daydreaming and using solitude for reflection are among the attributes of highly creative people. According to a recent groundbreaking study, researchers at the University of Southern California identified regions of the brain where humans acquire meaning. They discovered that we find meaning through interpreting life stories and experiences. The part of the brain responsible for this higher-level processing is called the DMN, or default mode network (Dehghani et al., 2017). What does the USC study have to do with daydreaming? Prior to this research, the DMN had been linked to mind-wandering, daydreaming, self-reflection, and other internally-focused states. For the first time, the USC study linked the brain’s DMN with how we find meaning in life. This research should interest parents and educators because making meaning of life experiences is how children grow and develop into healthy, capable, and empathic adults. A characteristic of stories is that they require us to integrate and find meaning to information over time. To grasp the meaning of a story, a child must make connections—connections between words, events, and relationships. 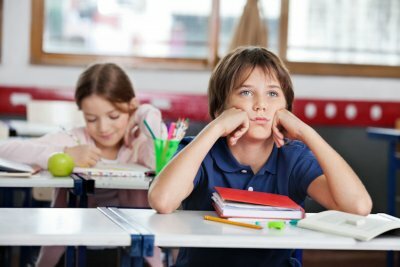 Could daydreaming help children make those connections? Of course, much more research is needed to understand how our brains use reflective states like daydreaming to find meaning and purpose. Yet there is enough research to date to suggest that daydreaming is linked to many positive developmental abilities, including creativity, empathy, insightfulness, and meaning-making. Like all human abilities, there is a dark side to daydreaming–a side that can cause mental health concerns. Many parents worry about children who daydream excessively. And indeed, daydreaming can cause developmental challenges. Eli Somer introduced the term maladaptive daydreaming in 2002 as an emotional coping strategy, a way to escape reality. The term has since been used by researchers to examine how mind-wandering can interfere with academic, physical, and interpersonal functioning. There is an online quiz that may help you or your child identify some of the symptoms of maladaptive daydreaming. In recent years, the Wild Minds Network has become an online forum where thousands gather to discuss excessive daydreaming and how it can positively and negatively affect their lives. In a highly personal and informative article for in The Atlantic in 2015, When Daydreaming Replaces Real Life, parents and teachers get an insight into the mind of a child (now adult) who struggled with maladaptive daydreaming for years before finding the right help. Another Atlantic article, When the Mind Wanders, links drinking alcohol with maladaptive daydreaming and also shows how it can affect young people behind the wheel of an automobile. Much more research is needed on the complex topic of maladaptive daydreaming. The bottom line: When daydreaming inhibits healthy development, affects sleep habits, or increases negative behaviors, parents should seek professional advice for their children. For most children (and adults) daydreaming is not only a good thing, it’s essential to our creative flourishing as human beings. You can boost your child’s creativity in many ways. Being an advocate for daydreaming is one of them! The benefits and pleasures of daydreaming can be endless. Encourage your child to enjoy their wandering minds! Dehghani, M., Boghrati, R., Man, K., Hoover, J., Gimbel, S., Vaswani, A., … Kaplan, J. (2017, March 2). Decoding the Neural Representation of Story Meanings across Languages. Godwin, C. A., Hunter, M. A., Bezdek, M. A., Lieberman, G., Elkin-Frankston, S., Romero, V. L., . . . Schumacher, E. H. (2017). Functional connectivity within and between intrinsic brain networks correlates with trait mind wandering. Neuropsychologia, 103(Supplement C), 140-153. Kaufman, S. B. & Gregoire, C. (2015). Wired to create: Unraveling the mysteries of the creative mind. New York, NY: Perigee. Killingsworth, M. A., & Gilbert, D. T. (2010). A wandering mind is an unhappy mind. Science, 330 (6006), 932. Somer, Eli. (2002). Maladaptive daydreaming: A qualitative inquiry. Journal of Contemporary Psychotherapy. 32:2-3, 197-212.